Our leadership team is a collaborative group of individuals who contribute to decision-making across the University. Collectively, leadership focuses on strategy, management, administration and related policy all with the University's mission in the forefront of every decision. Andy Horner was appointed Vice President for Finance and Administrative Services at the University of Dayton in January 2015. He was previously Vice President for Research Finance and Operations at Boston University, and held a number of other financial leadership roles at Boston University since 2010. Prior to joining Boston University, he served as Director, Health and Education Consulting for Huron Consulting Group (formerly Arthur Andersen, LLP) where he led major multi-year projects at both Yale and George Washington University. Andy holds a Bachelor of Arts (B.A.) Degree from the University of Notre Dame, and a Master of Business Administration (M.B.A.), Finance Concentration from Boston University. In his role at UD, Andy serves as the Chief Financial Officer, reporting to the President of the University of Dayton, and serving on the President’s Cabinet and President’s Council. Andy also serves as the Administrative Liaison for the Finance, Investment, and Audit Committees of the Board of Trustees. In addition, Andy oversees the Offices of Financial Support Services, Budget & Planning, Tax, Treasury & Investments, Audit, Risk & Compliance, Equity Compliance, Human Resources, and Facilities Management & Planning. Thom joined the University of Dayton (UD) in June of 2016 as the Associate Vice President for Financial Support Services. Thom spent seven years at Eastern Michigan University (EMU) where he served as Director of Student Business Services, responsible for Student Accounts, Collections, Cashiering and Student Loans. During his time at EMU, Thom was also responsible for the implementation of the Banner ERP Student System. Most recently, Thom worked at the University of Michigan and held many leadership roles in Information Technology, Research Administration, Student Affairs, Finance and as the Project Director responsible for the creation of a campus wide Administrative Shared Services organization. Overall, Thom has worked in higher education for twenty five years. 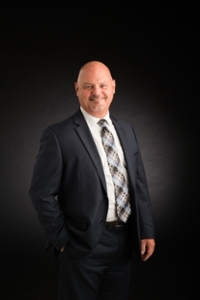 Thom holds a Bachelor’s of Business Administration (BBA) in Professional Accounting from the University of Michigan and a Master’s of Business Administration (MBA) from Eastern Michigan University. In his current role at UD, Thom has responsibility over the Controller's Office, Payroll, Student Accounting, Procurement and Payable Services, Project Management for Strategic Initiatives, and Auxiliary Services. Thom admires the collaborative spirit and sense of community at the University of Dayton. People truly care about each other and share the vision of being the University for the Common Good. Thom shares, “I love the work I do and the people I do it with, UD is a special place and that permeates the entire campus”. Virginia joined the University of Dayton in May of 2016, as the Executive Director for Budgeting and Planning. Virginia started her career in public accounting, spending six years with Arthur Andersen and Deloitte in Chicago, Cincinnati and Columbus. Her client base included higher education institutions (both public and private), non-profit organizations and governments. 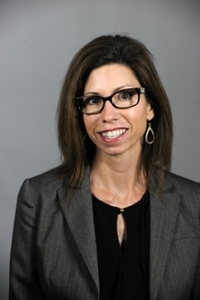 Her specialization in the higher education market ultimately led her to the Director of Finance for Antioch University in the central administrative offices. Virginia served higher education for almost 10 years at Antioch before joining the University of Dayton in her current role. Virginia received her Bachelor of Science in Business Administration (BSBA) in Accounting from Drake University in 2000. She also holds Certified Public Accounting (CPA) and Chartered Global Management Accountant (CGMA) certifications. 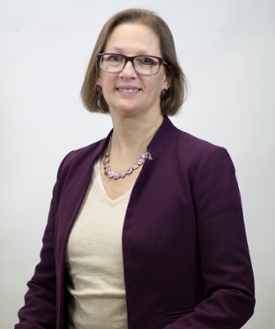 Virginia provides the long-range planning, financial analysis and modeling for the University; additionally, she has direct oversight of the annual operating and capital budgets for the University and the Office of Institutional Research. Virginia values and believes in the mission of the University and is inspired when she sees the impact it has on the students, faculty, staff, alumni and community members on campus, in Dayton and beyond. “The people at UD are great and I truly enjoy working with them every day,” she shares. In April 2017, Robin was promoted to Assistant Vice President of Audit, Risk & Compliance for the University of Dayton. Previously, she has served as the Chief Risk Officer for the University, since 2000. Robin has a Bachelor of Science from the University of South Florida and is currently enrolled in the University of Dayton's Master in Business Administration. She currently holds an Associate in Risk Management (ARM) from the Insurance Institute of America. Robin was in the 2003-2004 Successful Supervisor Series, 2004-2005 cohort of Leadership UD, 2012-2013 cohort of the Marianist Education Associate, 2014 Lean Six Sigma Green Belt and received a Master Certificate in the Emerging Leader program, 2015-2016. Robin holds certification as a Certified Asbestos Hazard Evaluation Specialist in the State of Ohio and a Certified Asbestos Hazard Abatement Specialist in the State of Ohio. In addition, Robin volunteers as a Board Member for Mount Carmel College of Nursing and has served as a Mentor for Marianist Student Communities. Robin is the Assistant Vice President for Audit, Risk and Compliance, a new unit that was created under Finance and Administrative Services to oversee the compliance, internal controls, and risk management efforts across the University. ARC includes the Offices of Compliance, Internal Audit, Environmental Health & Safety, Risk Management & Insurance and the overall Enterprise Risk Management program. Robin strives to serve the University Community and affiliated entities as a highly valued strategic partner and resource; providing innovative, high quality service, and cost efficient processes for appropriately balancing risk and opportunity. Robin passionately views her work as a vocation and has a strong alignment with the mission and vision of the University. She integrates the Marianist philosophy in her life and values the sense of community and collaboration at the University. Amy oversees the University's Equity Compliance Office to include oversight of the University's Nondiscrimination and Anti-harassment policy, related education and response, and reports of bias incidents. The Equity Compliance Office provides information, support, and reporting resources on the UD Website and offers consultation to faculty, staff, and students. Amy joined the University of Dayton in January 2017 as the Equity Compliance Officer & Title IX/Section 504 Coordinator. Prior to joining UD, Amy was the Associate Dean for Equity at Barnard College. In addition to ten years in higher education, Amy has past work experience in law enforcement, video and television production, and restaurant management. Amy has a Ph.D. in Counselor Education & Supervision and has experience speaking with local, regional, and national professional associations and organizations regarding nondiscrimination policy, inclusion practices in higher education, sexual violence education, and bystander prevention education. She is an active member in several professional organizations, including the Association of Title IX Administrators. Troy joined the University of Dayton in 2001 as a Staffing Manager, and his responsibilities in Human Resources have steadily increased throughout his career at UD. Troy served as Assistant Vice President in the Division of Advancement for UD, prior to his current position as Vice President for Human Resources. Troy received his Bachelor of Arts (B.A.) in Economics from Wright State University, a Master’s certificate in the Emerging Leaders Program from the University of Dayton, a member of the 2004 cohort of Leadership UD, and is a certified professional through the Society of Human Resources Management. As the Vice President for Human Resources, Troy serves as a strategic partner of the University leadership team, providing leadership and direction in developing and implementing organizational strategy in the areas of talent management, learning and development, compensation management, benefits administration, and employee & labor relations. Troy believes that the opportunity to work with talented faculty and staff, who support one another, is a hallmark exclusive to the University of Dayton. He states, “Every day I come to work knowing that my colleagues not only care deeply about the institution, but also for me as a person. There is a sense of family here that you don't find at many other places." Rick joined the University of Dayton in October of 2017, as the Vice President for Facilities Management and Planning. Previously, Rick was the Vice President of Energy Consulting for Cenergistic; his responsibilities included implementing a multi-million dollar energy conservation program at the University of Kentucky. Prior to that, Rick was the Physical Plant Director and Chief Facilities Officer at Oklahoma State University (OSU). He provided overall leadership and management to a 645 person customer service-oriented organization that developed, managed, maintained and operated OSU’s facilities and infrastructure. Rick is a Professional Engineer (P.E.) and LEED Green Associate with over 24 years of experience in positions related to facilities and utility systems operations, maintenance and construction. He is a retired Air Force Civil Engineering Officer with 22 years of service to our country. He earned his bachelor’s degree in Industrial Engineering and Management from Oklahoma State University. He also has a Master’s degree in Public Administration from Troy University and a Master’s of Science in Engineering and Environmental Management from the Air Force Institute of Technology. In his role at the University of Dayton, Rick maintains a high level of customer satisfaction, and provides leadership in the operation, maintenance, renovation, and construction of University buildings, grounds, maintenance and upkeep, residential properties maintenance, parking lot maintenance, sustainability, energy management, real estate, and other physical plant infrastructure of the 400 acre campus totaling over 4.8M SF of buildings. He exercises leadership in the planning and design of all major construction work and new construction, and the development/maintenance of a long-term campus environmental and building development plan. Rick serves as the principal liaison between the division of FMP and the university constituents whom it serves, as well as the President’s Council & Facilities Committee of the Board of Trustees.